Know the Game Bowls is the perfect introduction to the sport for all ages, whether you are a keen club player or beginner. It is packed with expert text, clear illustrations and photographs of the professionals in action. 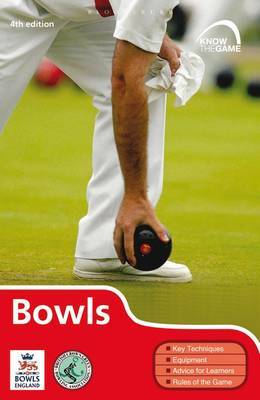 The book includes: Playing the game: how to play bowls, the rules, positions on the pitch, how to score The laws of the game: from scoring to umpiring Equipment and pitch: bowling balls, positioning of players, measuring The skills: step-by-step guide to all the basic skills, including throwing, tactics and scoring. The Know the Game series is firmly established as the definitive introduction to a wide range of sports and games. Written by the experts, you can be sure that they contain everything you need to know to take part.